A physically active campus enables all members of our community to move more and sit less in order to support their wellbeing, help them achieve their full potential and create a thriving UBC community. We spend 50-70% of our time sitting, and these long bouts of sedentary behaviour can have negative health outcomes. However, small changes can add up to big impacts—moving more and sitting less can improve both mental and physical health, impact academic and professional success, and contribute to wellbeing in meaningful ways. As UBC strives to become a health-promoting university, we are working to create environments where movement is supported and celebrated for all of our community members. Collaborating across departments and portfolios to make physical activity more accessible to our community and creating programs and policies that support it, is key to realizing our vision for a thriving, physically active campus. 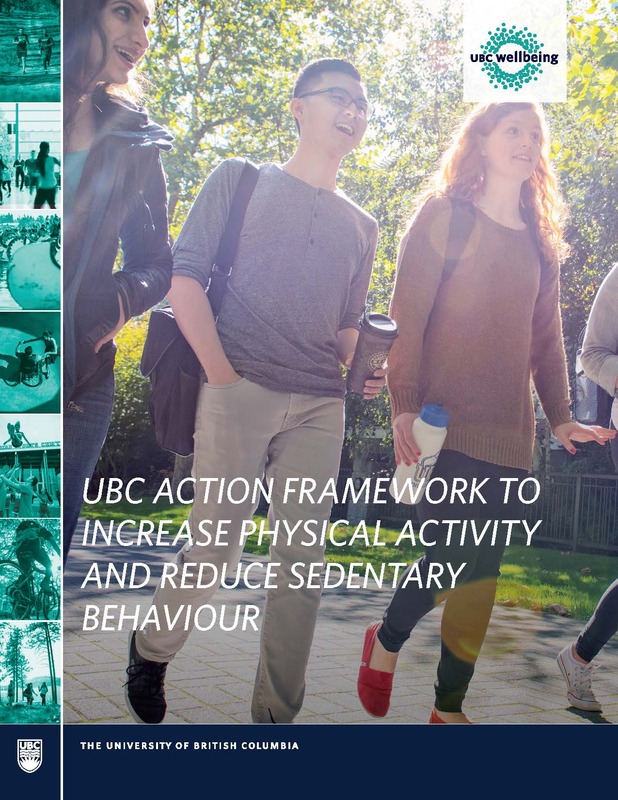 A Physical Activity Working Group was formed to collaboratively develop a framework to guide physical activity strategies and priorities across UBC and get community members to move more and sit less. We all have a hand in shaping campus environments that support health, wellbeing, and sustainability. By championing wellbeing, we can build stronger and more inclusive communities at UBC and beyond.